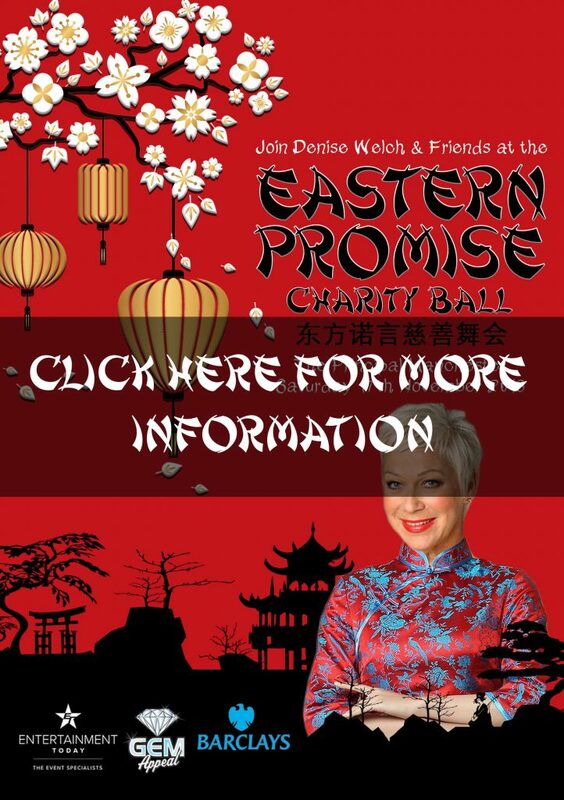 DENISE WELCH invites you to journey East for ‘Eastern Promise’; her 17th annual Winter Ball. Enjoy a sumptuous three course dinner and expect an evening filled with entertainment; from Dragons to Geishas and everything in between. Join Denise & Friends to experience an evening unlike any other. The evening will raise vital funds for The GEM Appeal, a charity that conducts research into genetic disorders in children. Make a difference. Join us on 17th November. I consent to my data being held by Entertainment Today so that I can be updated on news about the Denise Welch Eastern Promise Ball and other charity events (please note if this box is not ticked, you will not receive any further information).